This time, we took our previous two model’s pictures on acetate sheets. And we were assigned to superimpose them. First of all, I did a little research about superimpose on the internet and found out that superimpose means lay or place something over something else in certain angle and certian position. So, I started trying every positions of two sheets and then I decided on that position. And then I started sketching it with the tracing paper. I did same step 3 times by aking it less detailed and by just using horizontal and vertical lines. So that, I could realize relations more clearly. Here is my sketches below. 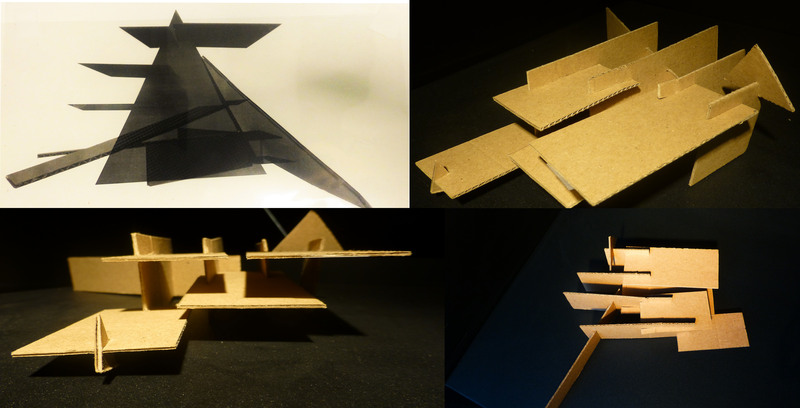 This entry was posted in ARCH 101 and tagged abstraction, architecture, melisbel, studio, TEDU. Bookmark the permalink.